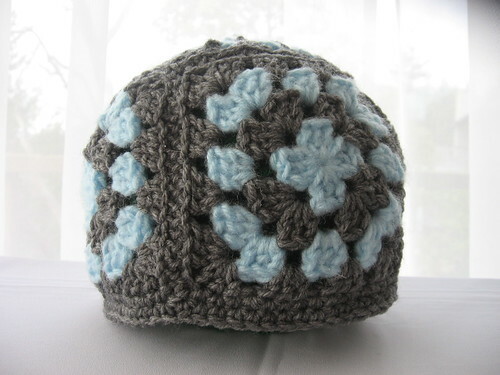 This Thick Warm Crocheted Winter Hat lives up to it’s title. With front post stitches for insulation, my brother loves how fast this hat warms his head. 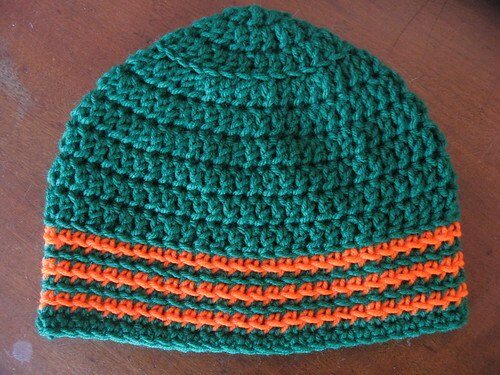 I crocheted the Boy Beanie v2.0 for him, also using Red Heart Super Saver in paddy green, but it turned out too tight. 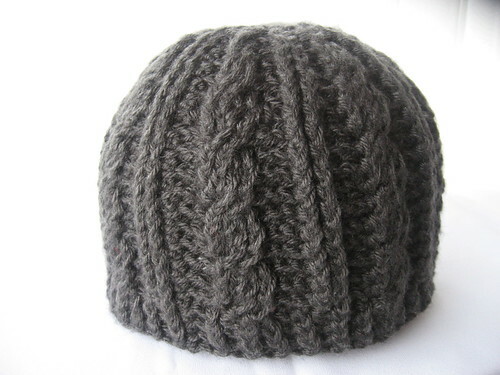 I was thinking of trying out the Husband Hat for him, but he requested a Cable Hat, like my gray one. 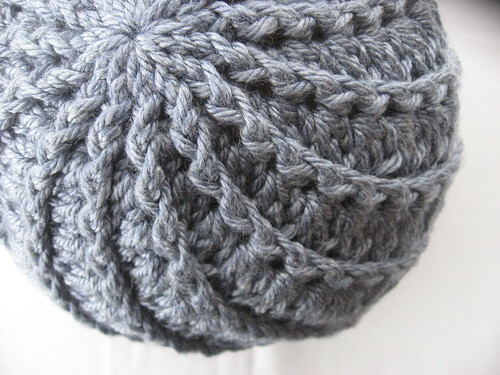 I really enjoy the Cable Hat pattern, but after making that hat several times over to get the right size, I had no desire to make another for a while. 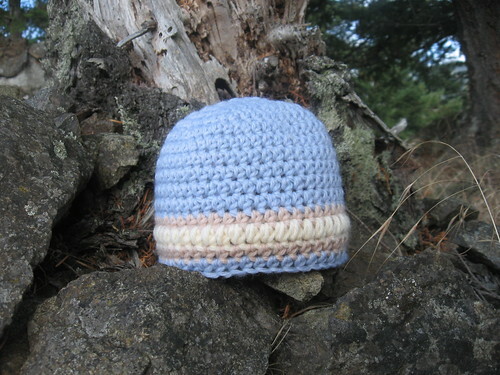 The Thick Warm Crocheted Winter Hat pattern seemed like a good compromise. This hat is my first with a brim and it looks very bulky in the picture. 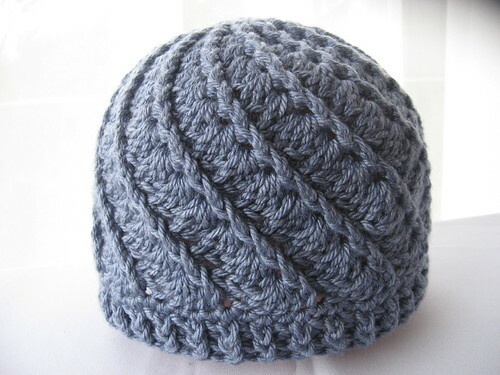 When worn on an actual head instead of a yarn ball, the brim stretches out a bit more. 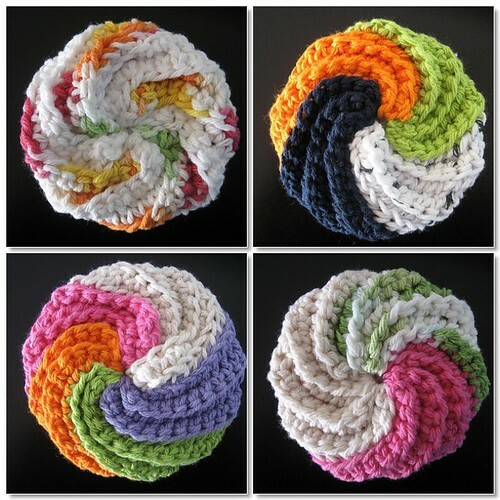 In other news, I’m working on a new set of photos for the Through Any Window Baby Blanket tutorial. Three rows were out of pattern order, so I’m re-photographing them. The actual directions are correct, but just remember the color order is jumbled. 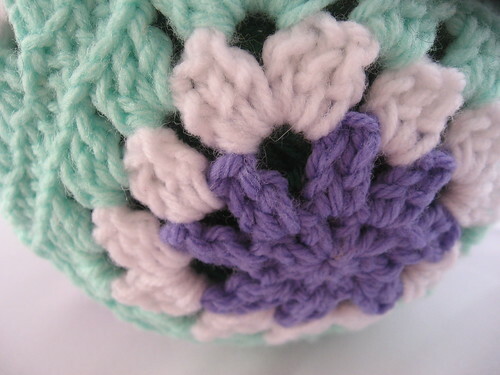 Also, I’m planning a new tutorial for a neat little crochet technique I came across on YouTube. Today is the third annual World Kidney Day! One in nine US adults have chronic kidney disease. I took a walk around Mountain Lake with my brother today. We wanted to scout out the best campsite since registration is opening up at Moran State Park for the summer season. Quite possibly the best car camping in San Juan Island, WA is located in campsites #126 though #136. They all are on an elevated loop looking out onto Mountain Lake. There’s a boat launch, tiny stretch of rocky beach and a hiking entrance within 500 feet of the loop. Also, the area is far from the main road so you don’t get the car traffic like you do in the Southend sites. Can you believe this is the view from campsite #130? Read more about why my trees look black on naturephotographers.net. 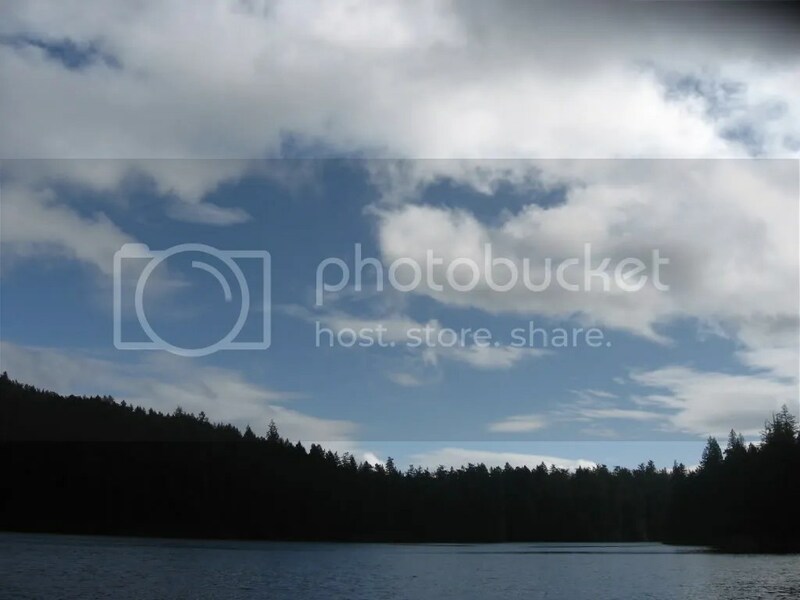 I’m still learning how to get a blue sky with a point and shoot and not end up with silhouetted trees. Suggestions are appreciated! I took more pictures of the campsite loop but, for some reason, they didn’t register on the memory card. I think it was because I changed the batteries and the memory card was jarred in the process. I did get the memory card to save pictures of my Quick Winter Headband. This free pattern gets an ‘A’ for adaptability. 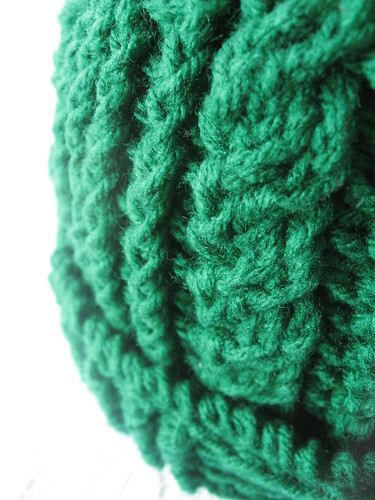 Not only does any yarn weight work, you can insert any crochet stitch you like for the body of the headband as long as it starts with a base of thirteen stitches. 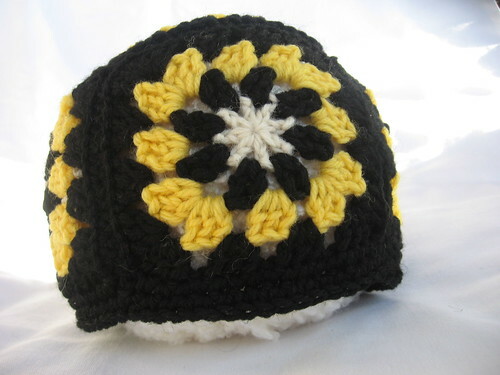 The headband pattern isn’t beginner friendly though, as the stitch directions for the body are not written with the pattern. 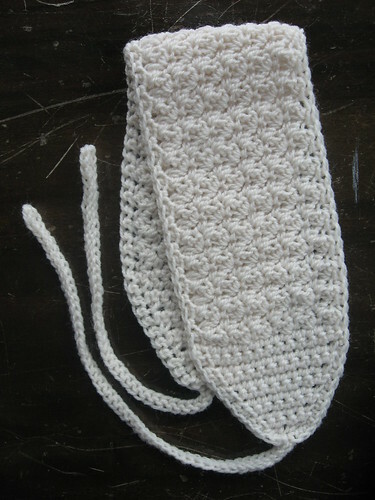 Instead, the reader is directed to the Vanilla Grit Stitch Washcloth. I had to frog the first row a couple times before I realized that the stitch pattern should start with row 2. Since row 2 refers to stitches from the foundation row, it took a little extra work to figure out exactly how many single crochet stitches to skip to account for the unworked foundation. For this reason I wouldn’t recommend this pattern to crocheters just learning to read a pattern. Once I had the first row figured out, the grit stitch went quick. It’s an easy stitch, but interesting. Also, the headband is worked entirely in one piece so there’s only two ends to weave. 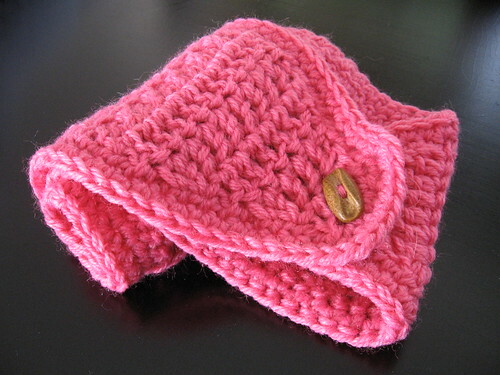 The pattern calls for worsted, but I used Babysoft in Cream. The headband still came out pretty wide, about three inches. 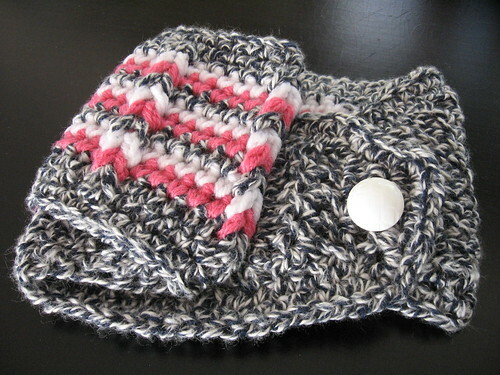 With worsted weight yarn in gauge, I think the final product would end up similar to Christina‘s St. Maurus Headwarmer. I finally photographed my St Maurus Headwarmers from January with the buttons sewed on. I was really dreading the needle and thread until Christina suggested using buttons with large holes and a tapestry needle. Worked like a charm! This striped one looks a little fuzzy since I’ve been wearing it a lot in the past month. It’s great in windy weather since my ears can be easily covered with my hair pulled back. I like the style of this headwarmer. 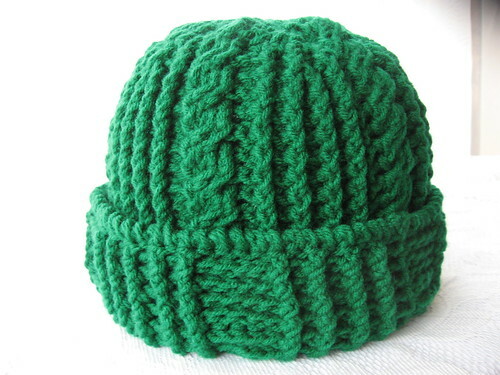 I’d like to try knitting the Calorimetry for the fall. Also, remember the Jacob’s ladder stitch baby blanket I talked about? I found out the Rainbow Bright pattern is available for free on the Coats and Clark website. 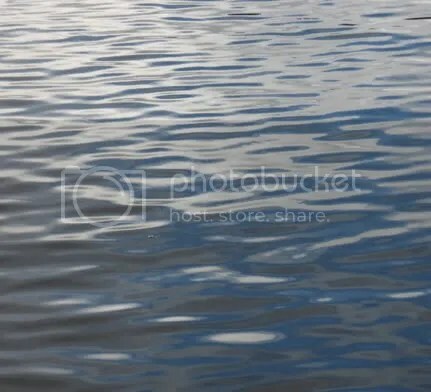 Mosquitos are twice as attracted to blue than any other color. 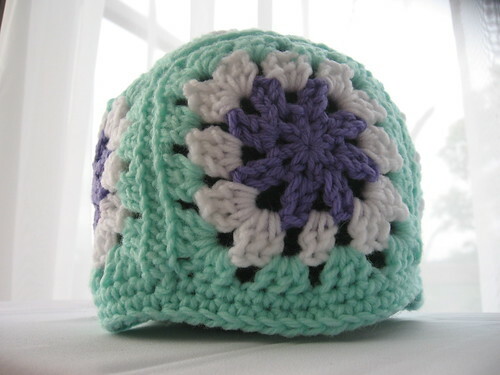 As promised, here are some more Soley Granny Squares Hats by Crafty Christina. Can you believe that I’m working on two more? These are the two best from the second batch. You’ll see that the others were less thought out and I was running out of good color combos in my yarn stash. For the yellow one I went with a bumblebee feel. The green one was inspired by Yoshi from Super Mario Brothers. I went a little crazy with these but after a few projects that demanded constant attention and frogging the granny squares were a pleasant side note. The process is quick to start and, as a result, very addictive. First of all, you just repeat the granny motif a bunch of times and before you know it there are five little squares ready to be joined. You see this neat little stack of grannys and feel an enormous sense of accomplishment. The pieces are made and you’re practically done. But wait! You have to weave in all those ends. This is where I went downhill. 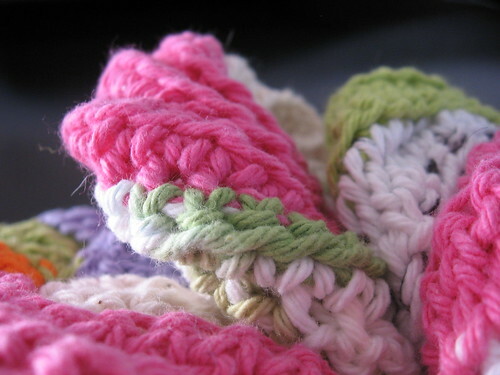 Instead of weaving in the ends and joining the squares I decided to make three more sets of granny squares since it is much more fun to dive through a stash and pick out colors than dig out a yarn needle. They piled up in my yarn basket very quickly and then I had 20 granny squares and even more ends. This is where I decided to stop at six hats total. 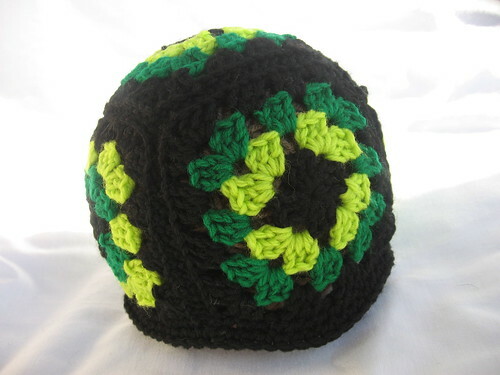 I could have made more granny squares, but I couldn’t imagine subjecting myself to more ends. 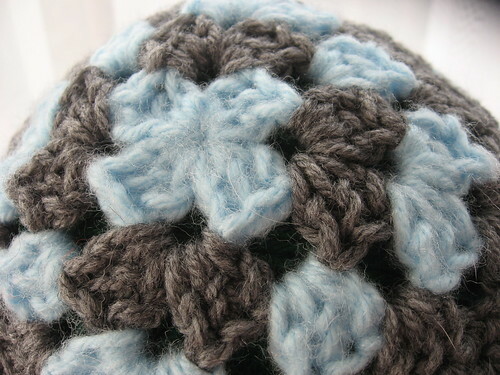 I’ll post the other two Soley Granny Squares Hats after, you guessed it, I weave in the remaining ends.